As Hong Kong’s Art Month ensues, we’re seeing all sorts of creativity spilling out across the city and onto our plates. 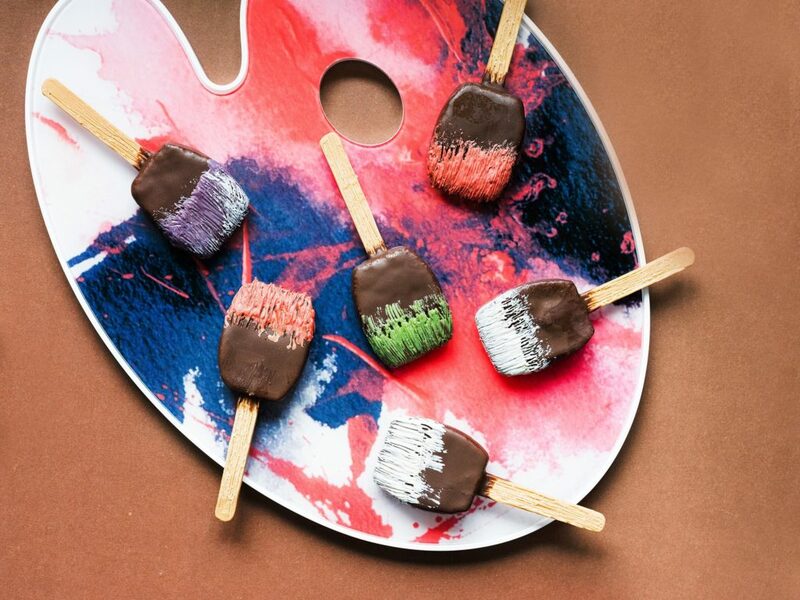 With art-inspired menus, dishes and cocktails on offer, there’s something for everyone to celebrate the arty season. So if gallery hopping isn’t for you, here’s a list of 9 other cool art-related things to eat or drink this month. If drinkable art is your thing, you can head on up to The Ritz-Carlton’s Ozone, the world’s highest bar, to sample cocktails and tapas inspired by the Bauhaus movement, which combined construction and fine arts in the early 20th century. 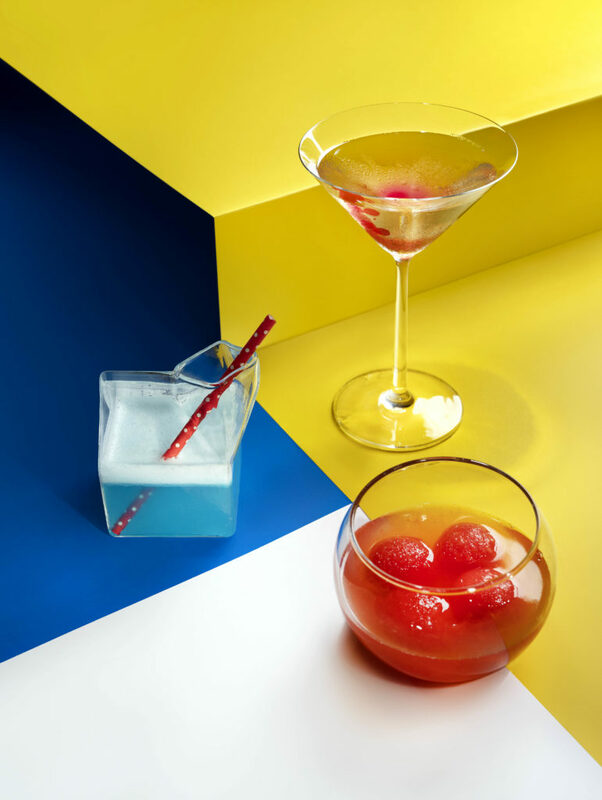 Created by culinary and bar manager Oscar Mena, bar-goers can sip on artsy cocktails that have been inspired by Bauhaus maestros László Moholy-Nagy, Josef Albers, and Paul Klee. What’s more, artisan mixologist and Asia’s Monkey 47 brand ambassador Zachary Connor de Git will be guest bartending for one night only (Friday, 29 March) with some of his own signature creations. Art lovers rejoice! You can now eat, drink and simultaneously experience art at CÉ LA VI. 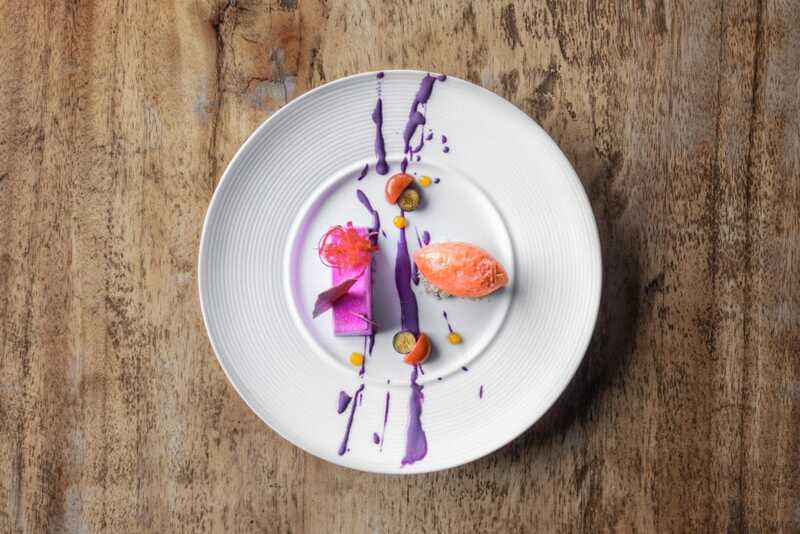 A tasting menu featuring six colourful dishes will set the tone with dishes such as oyster & botan ebi to start, and a vibrant beet & raspberry mousse to finish. Wash it down with their exclusive art cocktail, Panthère Cobblers, inspired by French ‘Born Wild’ pop-artist Richard Orlinksi, all the while enjoying the collection of sculptures, courtesy of Opera Gallery, displayed across The Lounge, Sky Deck and restaurant. To end the month on an artistic high, CÉ LA VI will also be hosting a closing party featuring a live performance by dance alchemy production group I AM. Get in the mood for artistry at The Peninsula’s 28th floor restaurant, Felix, and enjoy the Five Senses Art Experience menu by Chef de Cuisine Juan Gomez. 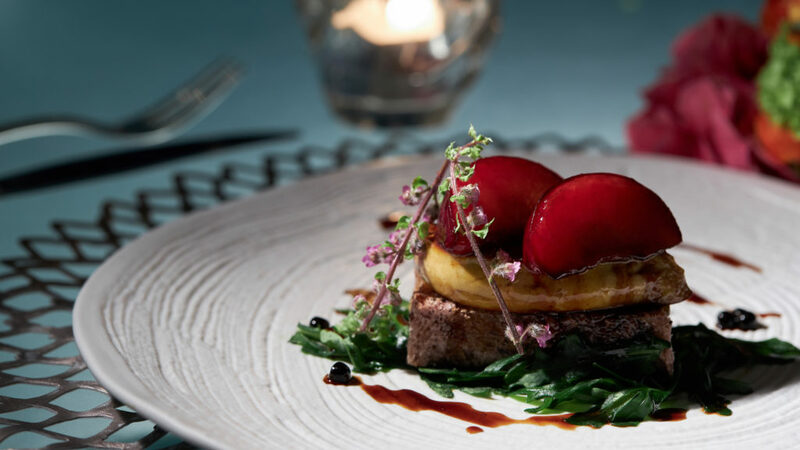 Created to please all your senses, dishes like crispy king crab pillows will indulge hearing, whilst chargrilled Iberian pork pluma will excite your sense of smell and pan-fried foie gras with glazed plums will tickle your taste buds. But if that’s not enough art for you, The Peninsula — being the official hotel partner of Art Basel Hong Kong — will also launch ‘Art in Resonance’, a multi-year art program that starts 26 March, in which the hotel will play host to newly commissioned, immersive installations by contemporary artists across the globe. Back by popular demand (for the fifth consecutive year now), is Chef Oliver Li’s ingredient-driven, street art-inspired menu. Reflecting upon UK-born, HK-bred visual artist Szabotage’s pop-up exhibition “Reflections”, the six-course menu incorporates urban and pop culture in its dishes — including the signature graffiti-style Koi patterns. Along with the meal comes four pop-artsy tipples that also pay tribute to the street art influence. 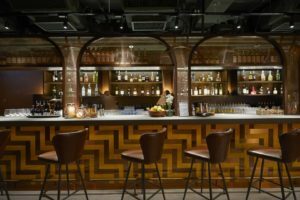 The artisanal gin bar tucked in the basement of The Landmark is a favourite most days, but during Art Month, the place is especially popular with bartender Gerry Olino’s art-inspired cocktails. The first of his creations is Flowers in the Snow — a concoction of infused gin, honey, cream, egg white, soda and local jasmine tea — instilled by artist Robert Tracy’s mysterious flower painting. 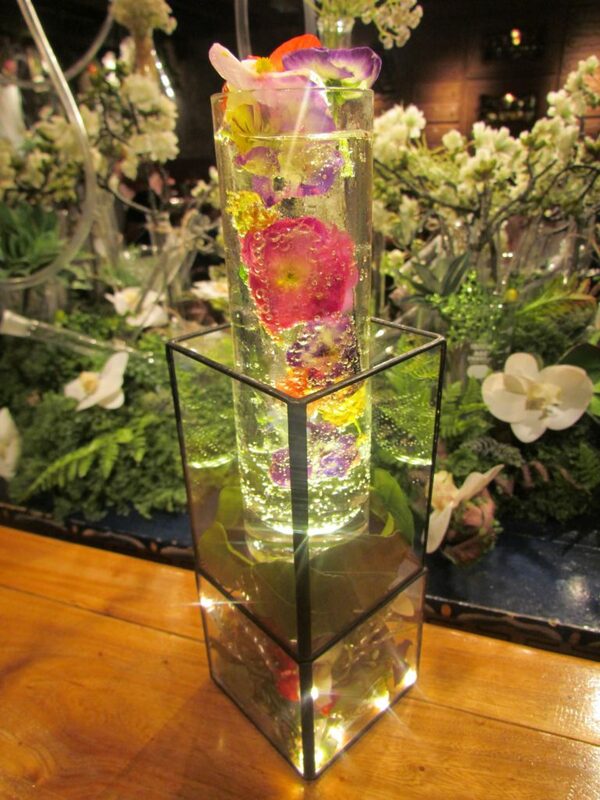 The second drink is a must-order simply for its gorgeous presentation; The Blossom is derived from a simple seed, given the love and water needed to transform into beautiful and colourful life, and is made from Whitley Neill Quince Gin, London Orange & Elderflower and edible flowers. 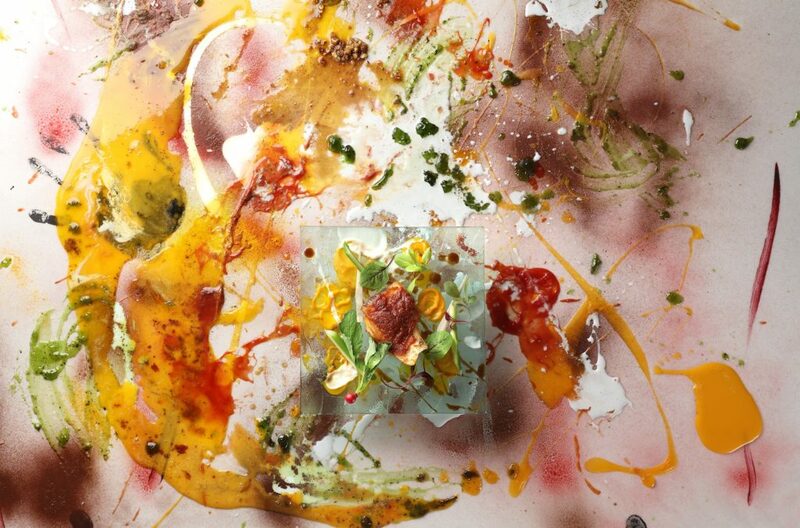 Michelin-starred chef Robin Zavou celebrates Art Month this year with his Palatable Art menu. This time, he’s paired up with artist Konstantin Bessmertny and Benjamin Sigg of Art Advisory to put forth a four-course dinner menu. Each dish is a true work of art as it mirrors, complements, or exudes the feelings and ideas intended by the artist, and now, the chef as well. 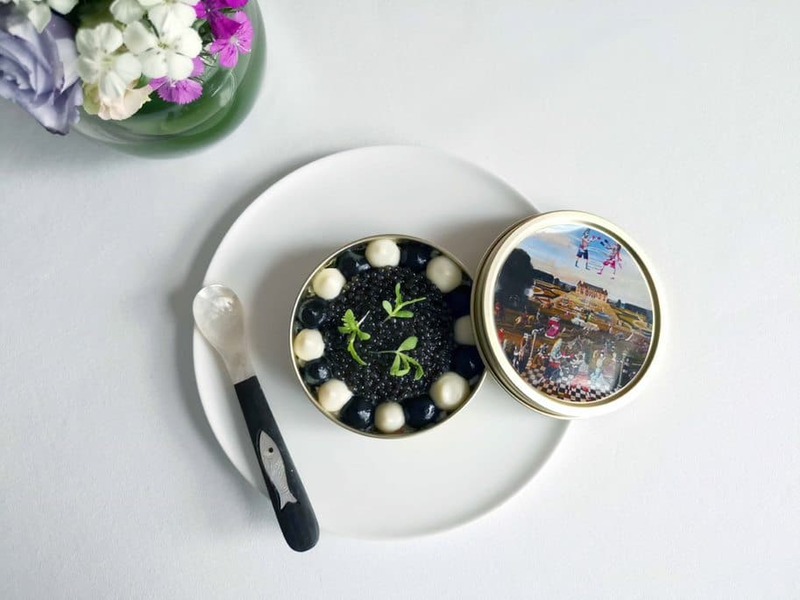 Special mentions include the caviar, leek and cauliflower starter inspired by Ancient Régime, and the Wagyu beef served with bark and smoked at the table to bring out the five elements, reflective of the piece with the same title by Chinese artist Ji Dachun. 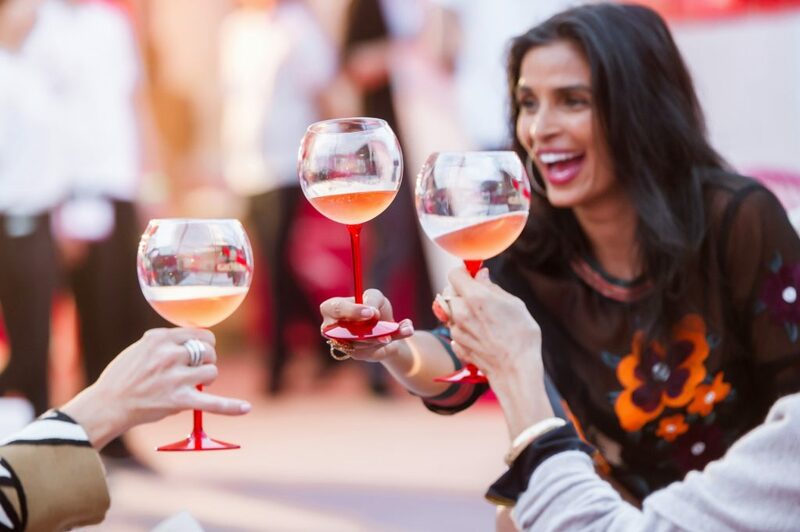 Back for the fourth year now, Mumm Champagne returns to co-host one of Art Month’s biggest celebrations right at Hong Kong’s Central Harbourfront Event Space with Art Central. This VIP party is also the debut of Mumm Grand Cordon Stellar – the first Champagne bottle designed specifically for space travel. Although you may not have any plans to venture past our planet anytime soon, you are however guaranteed an evening that is out of this world, with free-flow drinks and international DJ performances. Sunday afternoons just got better with Four Season’s new Art Frenzy Afternoon Tea set offering. Led by Executive Pastry Chef, Ringo Chan, the interactive tea buffet is an expression of the chef’s creativity in the form of sweet delights. Expect artistic creations in his interpretation of urban Hong Kong, bird cages found in the old parts of Kowloon, and paint tubes inspired by the city’s modern street art. The tea set is available from 2pm to 4pm, or 4:15pm to 6pm. From 27 to 31 March, during dinner until end of service. Walking through all the galleries and exhibitions at Art Basel Hong Kong can be thirsty work. Luckily, restaurant group Pirata has us covered with a list of venues across Hong Kong offering complimentary drinks (from glasses of Prosecco to cocktails and bottles of wine) to all Art Basel VIP ticket-holders this month. Visit Chaiwala, Madame Ching, TokyoLima, Meats, Pirata or The Optimist and recharge with a much-needed tipple to keep you going through art month.